Over the past few months I have had the joy of trying out a few different styling products from Xtava. 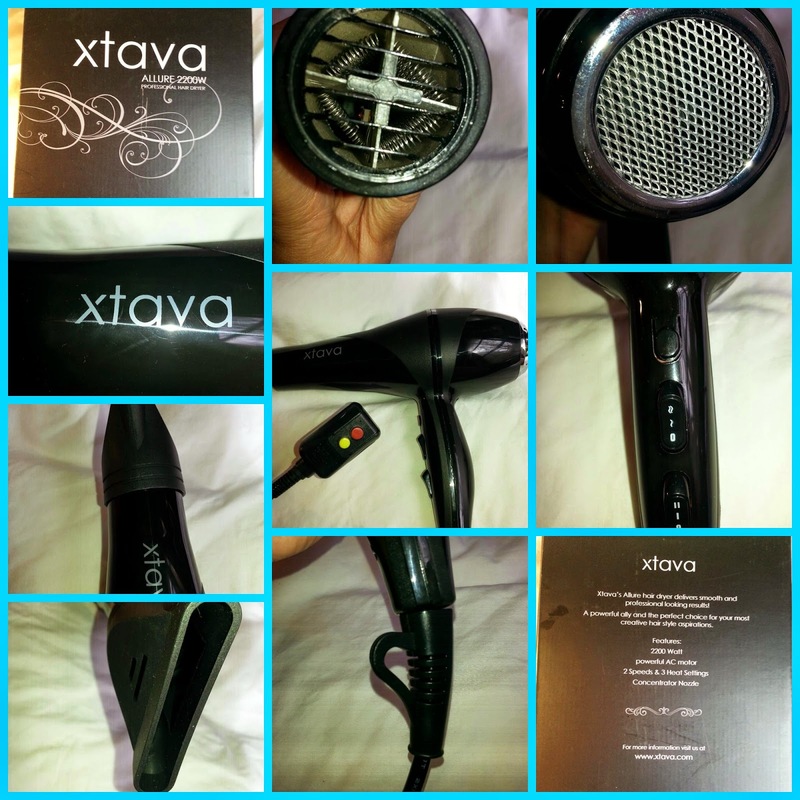 When I was asked if I would like to try the Xtava PRO 2200W Classic HairDryer in Charcoal Gray I was excited. I have been using the same blow dryer for years-it's old, load and well it's pretty out of date. I have seen that lots of the new dryers on the market are more gentle and cause less stress to your hair. 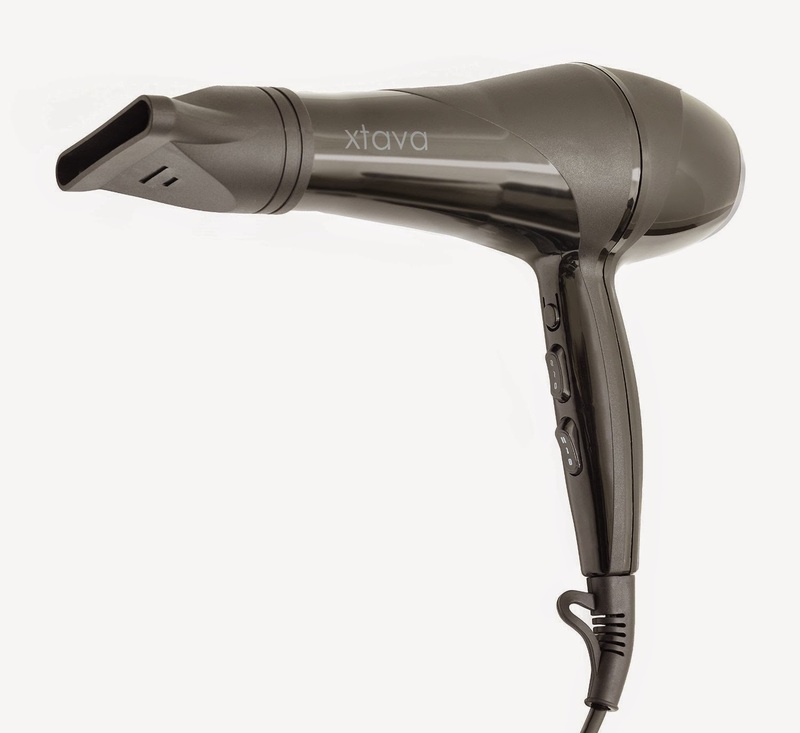 Xtava PRO 2200W Classic HairDryer in Charcoal Gray leaves my hair shiny, freeze free and full of body. It is so much quieter then my old dryer, it sounds like a whisper in comparison. I love the way it leaves my hair feeling and looking. It dries my hair in half the time that it took before and I am so in love with the cool air blast button. The cool air blast button provides extra lift right where I need it. ULTRA LIGHTWEIGHT 2200 WATTS - STYLE WITH EASE: The Allure Dryer combines an ultra-powerful 2200 W motor with a lightweight frame to create the perfect styling tool. Looking good is almost effortless with the included Concentrator Nozzle. This attachment directs maximized condensed air flow to the area you are targeting, adding precision and focus while controlling frizz and style outcome. TOURMALINE IONIC CERAMIC TECHNOLOGY - SAVE TIME: - Thanks to the latest ionic ceramic technology, you will get the job done 80% faster while increasing hair volume and without over-drying your hair. The proprietary technology behind Allure's efficiency helps to break up water quickly for reduced dry-time so you can spend your time enjoying the party, instead of getting ready for it! SLEEK AND STYLISH DESIGN - TREAT YOURSELF: With this state of the art dryer, you will feel as if you just left the salon... every day! The Allure is designed to emit powerful negative ions to seal and smooth the hair's outer layer while helping to reduce frizz and increase shine for more natural looking, healthy and hydrated hair. Be fabulous - because you are. 2 SPEEDS \ 3 HEAT SETTINGS - LOOK YOUR BEST: The Allure features two speeds and three heat settings to offer control and professional styling versatility for all hair types. While high heat is appropriate for thick or coarse hair, low heat is suited for thin or fragile hair. With the ability to customize the settings to your unique needs, you will take hair drying to a whole new level. I received this product in exchange for an honest opinion. I am happy to have the opportunity to provide my unbiased and honest opinion.